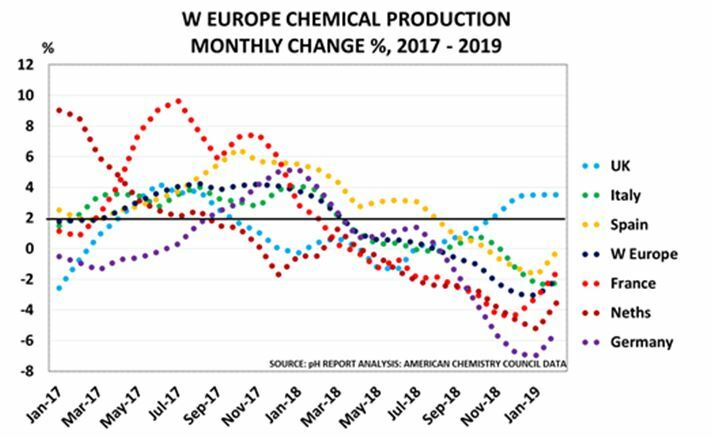 LONDON (ICIS)--The UK and European chemicals sectors should still prepare for a no-deal Brexit despite the extension granted by the EU for the country to pass the Withdrawal Agreement. Late on Wednesday, the EU granted an extension to the Brexit date until 31 October. The UK's Prime Minister Theresa May now has more time to find a solution to resolve the parliamentary impasse over Brexit. However, the default legal position remains a no-deal exit either on 31 May, if the country fails to take part in European elections, or on 31 October. With no clear majority for any Brexit solution in the UK's Parliament, May is being forced to work with the opposition Labour party to find a new way forward. However, the talks have so far yielded no tangible results. The UK's chemicals sector and its EU trading partners have invested time and money in no-deal preparations; these should continue, unless and until a Brexit deal is passed by the UK Parliament. Chemical industry leaders on Thursday welcomed the extension, but cautioned that it means yet more uncertainty until a deal or way forward is agreed. “Whilst last night’s decision avoids the imminent danger of no-deal, it does further extend the uncertainty for business. Parliament urgently needs to find a swift solution and not simply use the next six months for further delay,” said the UK's trade group the Chemical Industries Association (CIA). Peter Newport, CEO of the Chemical Business Association (CBA), another UK trade group, said: "We welcome the agreed extension to Article 50 as it avoids an immediate hard Brexit. "Unfortunately, it also prolongs uncertainty for business, but at least potentially provides time to resolve the current political impasse and an opportunity to agree a way forward that can attract majority approval in Parliament." There is now a greater likelihood of a general election taking place, or a leadership challenge to Prime Minister May within her Conservative party. Chemicals investment plans have been put on hold in the lead up to Brexit, and this is likely to continue, according to the chairman of UK-based consultancy Ready for Brexit. “The chemical industry is totally integrated across the EU in terms of its supply chains, and so companies are inevitably going to keep investment plans for the UK on hold,” said Paul Hodges. He added that the industry should also now develop a better understanding of the potential impact of a left-wing Labour government on the economy. In the build up to the previous Brexit deadline of 12 April, many UK chemical companies stockpiled product to cushion the effect of a disruptive no-deal exit. Now, this is likely to go into reverse, with destocking to free up working capital. “As the chart shows, the UK has built major precautionary inventory ahead of Brexit, at a time when the other major EU economies have seen output go negative due to the slowdown in key consuming industries such as autos, construction or electronics," said Hodges. CBA’s Newport added that he was concerned "the further cliff-edge" date of 31 October could cause another cyclical episode of stock reduction by chemicals companies, which would then be followed by a precautionary stock building as the date approaches. "[That would have] consequences for cashflow and a knock-on impact for investment,” he concluded.